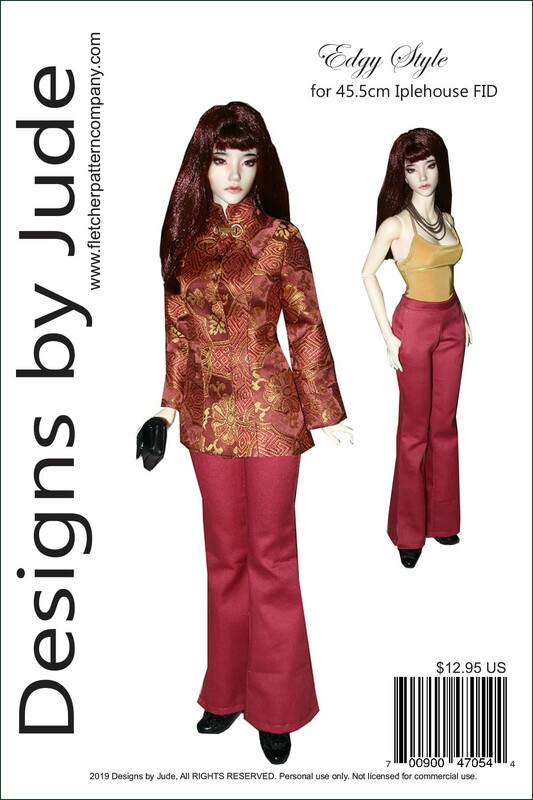 Up for your consideration is Edgy Style, a doll clothes sewing pattern designed to fit 45.5cm Iplehouse FID fashion dolls. The pattern includes a pair of flare leg pants with vents and slit pockets, bodysuit style camisole and fitted jacket. This design is also available for American Model, Ellowyne and other fashion dolls. The PDF pattern prints on A4 and 8 1/2 x 14 legal size paper.